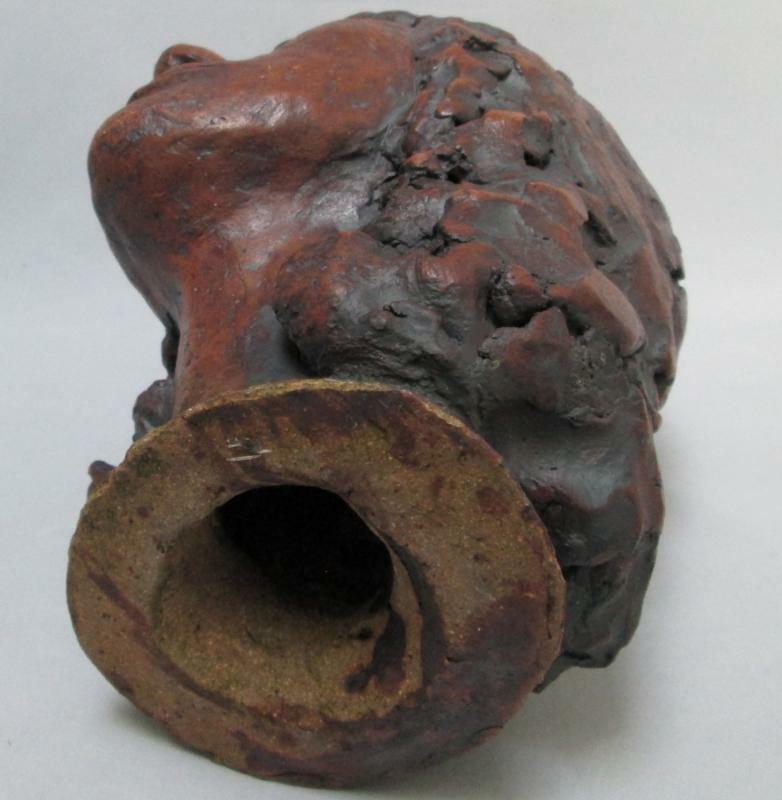 This one of a kind original sculpture was made of heavy natural clay, hollow but weighing nine pounds, two ounces. 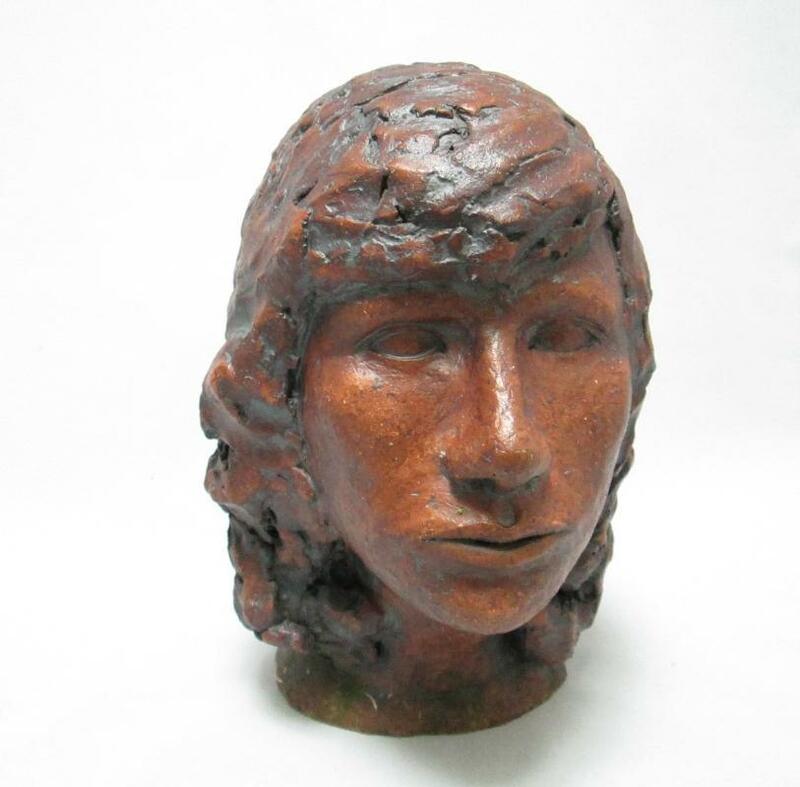 The subject is a very sensitively portrayed woman's head that was given a finish of bronze colored glaze, with darker glaze in the nooks and crannies to emphasize details like hair and eyes. 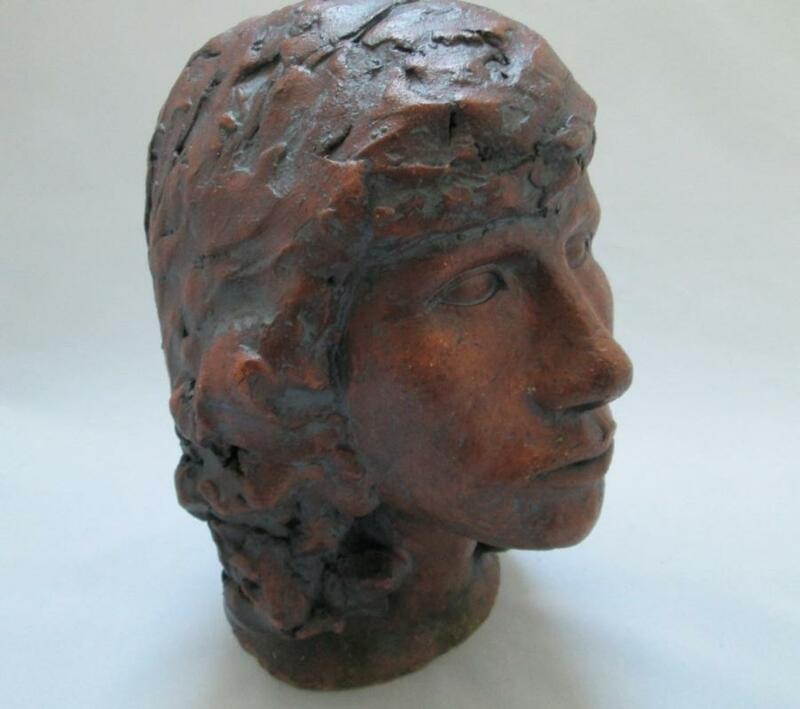 Obviously done by a very talented sculptor, it is unsigned or marked in any way. 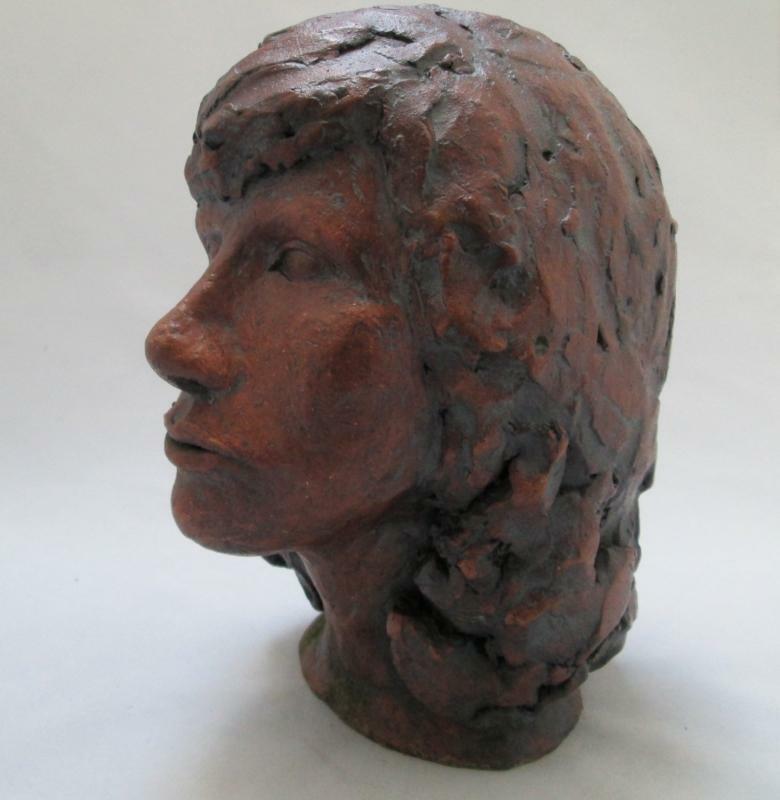 This wonderful sculpture stands 10 inches tall and measures 8 inches across the widest part of the woman's face. The flared base is oval, 5 inches by 4 1/2 inches and the piece is in excellent condition--no cracks or breaks, no marring of the glaze. 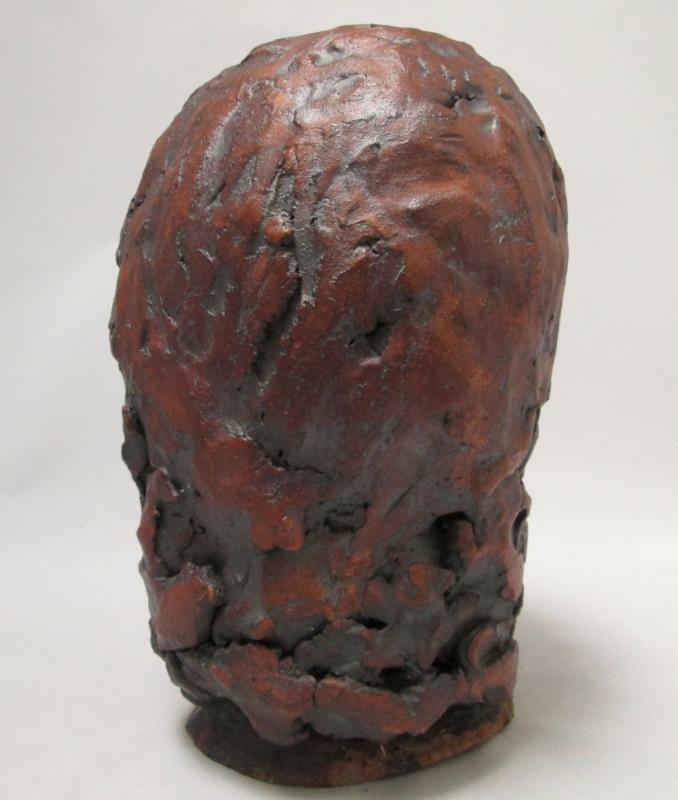 This is a work of art you'll be proud to own and display.